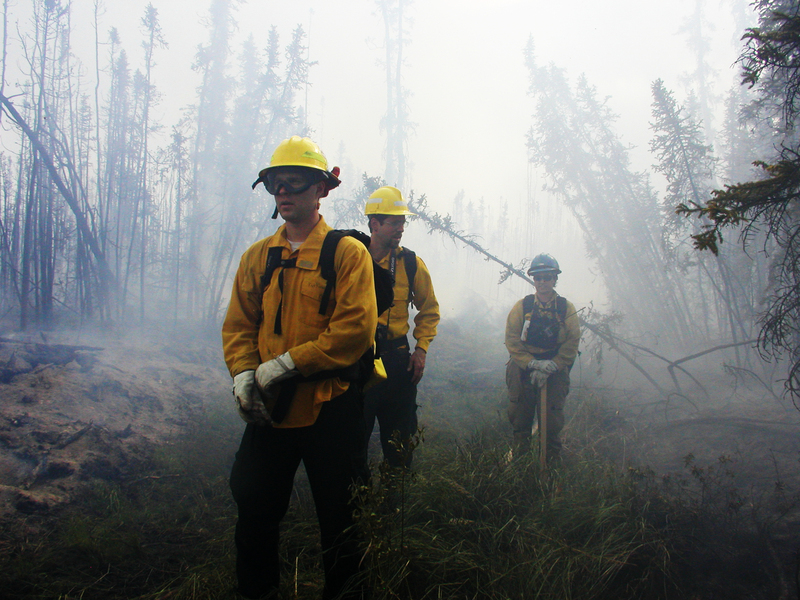 The Nenana Ridge Experimental Fuels Treatment Research Project was funded by the Joint Fire Science Program. 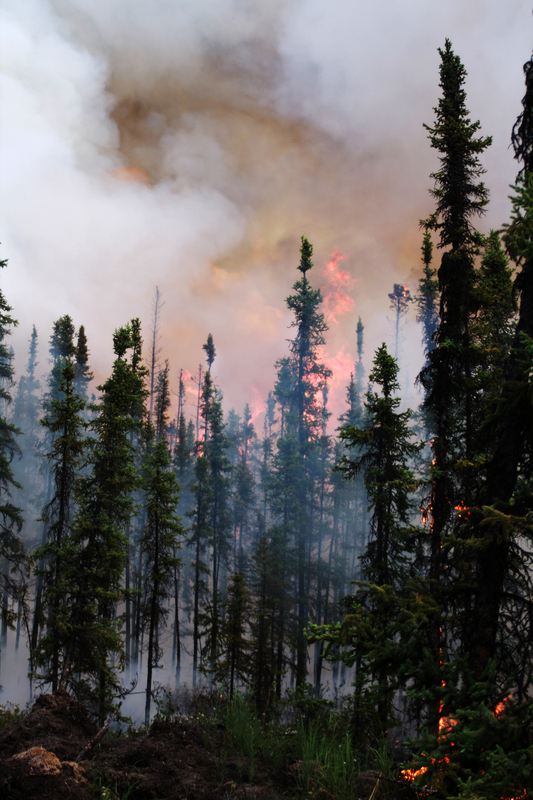 The project was designed to quantify the effects of fuels reduction treatments on fire behavior and post-fire vegetation dynamics in Alaska black spruce forests. 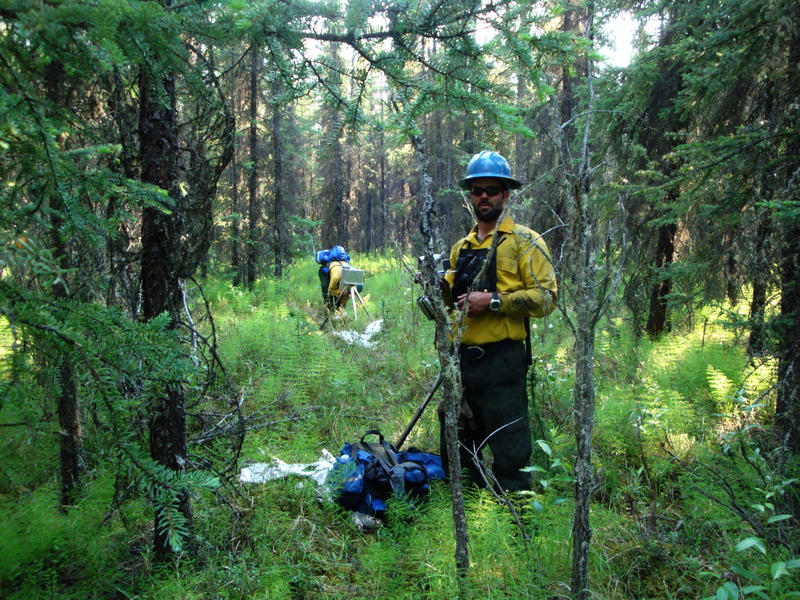 Scientists, engineers and foresters from the USFS RMRS Fire, Fuels and Smoke Science Program worked closely with scientists from the USFS Pacific Wildland Fire Sciences Laboratory, the University of Alaska Fairbanks, the BLM Alaska Fire Service and local land managers to measure the effect of different treatments on fire behavior. 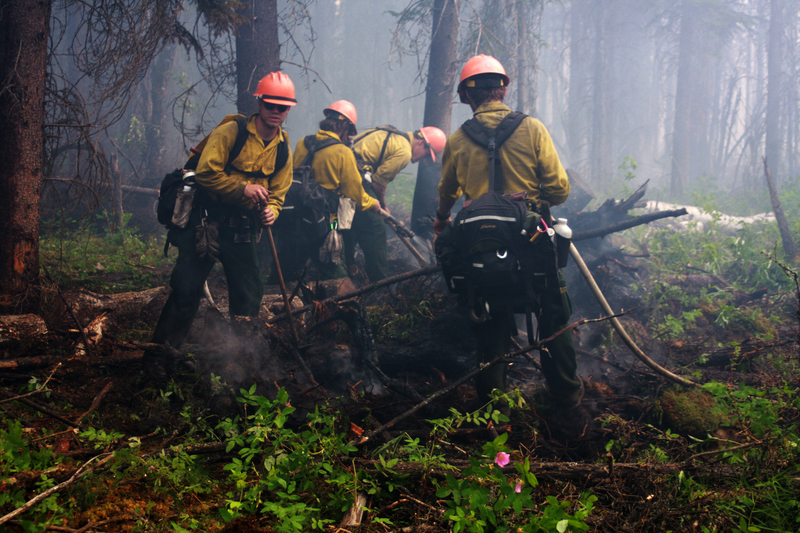 Mechanical (e.g., shearblading) and manual (e.g., thinning) fuel treatments are commonly used by Alaska fire managers and agencies for mitigating fire risk. 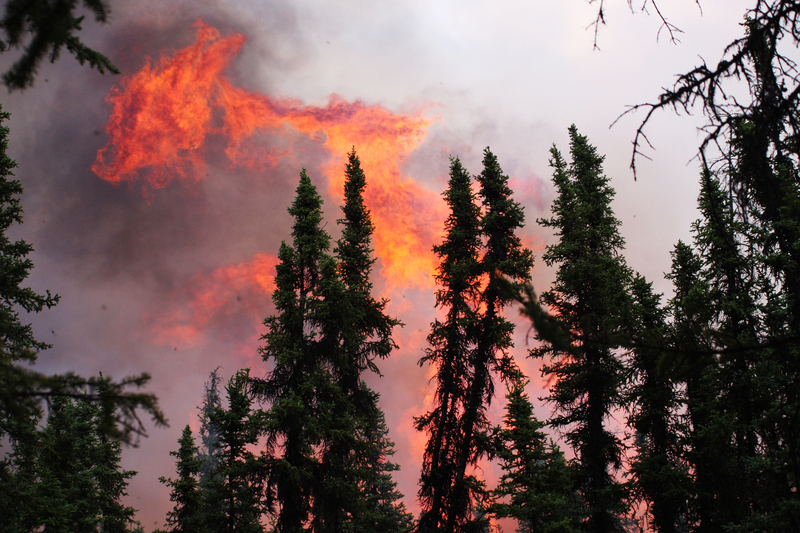 However, there is little documentation of the actual effect of different fuel treatments on fire behavior. 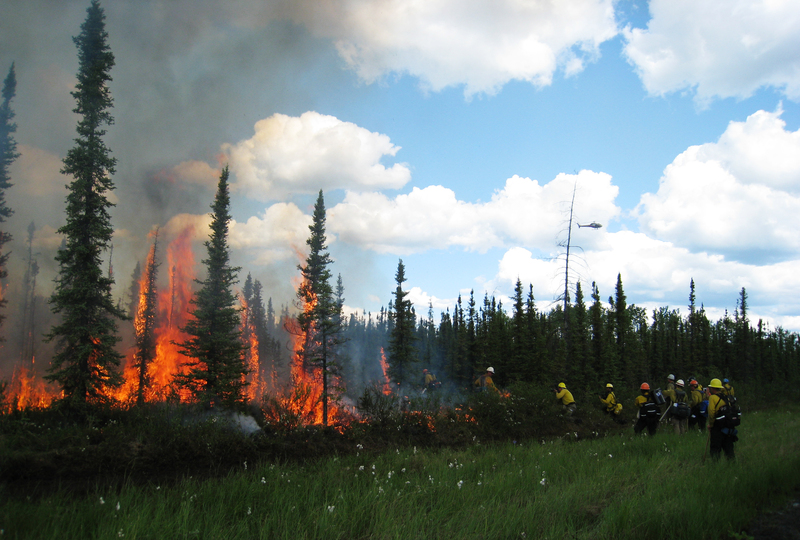 The Nenana Ridge project began in 2006 with preparation of eight 1-acre treatment blocks with two controls, and a prescribed burn was conducted on five blocks in June of 2009. 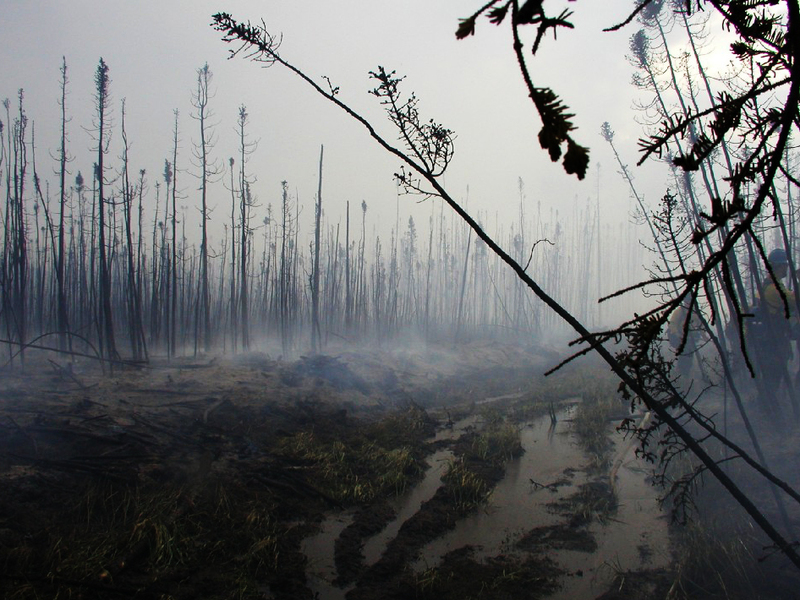 The primary objective of the project was to characterize the effectiveness of the treatments in reducing fire intensity. 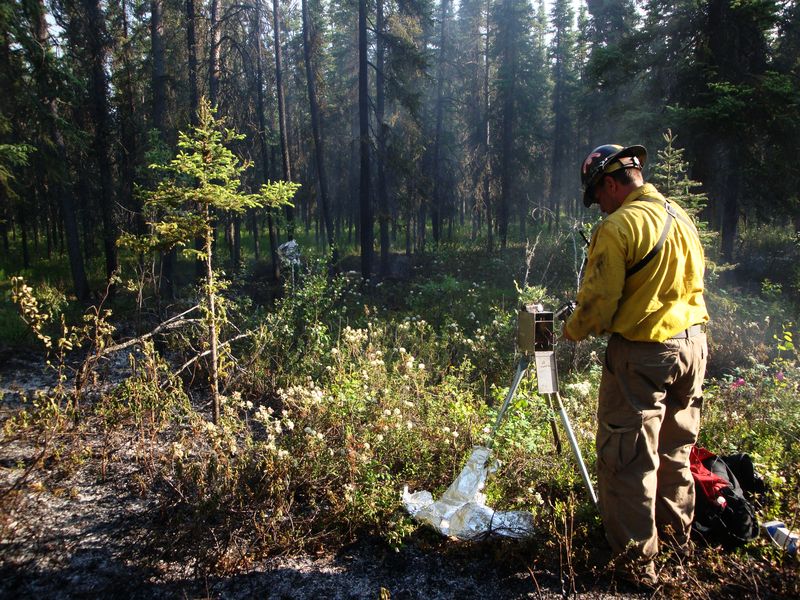 Fire-proof digital sensors and video cameras were used to document the burn, in addtion to measurements of vegetation, fuelbeds, and fuel moistures, which allowed scientists to compare fire behavior between control plots and fuel treatment plots. 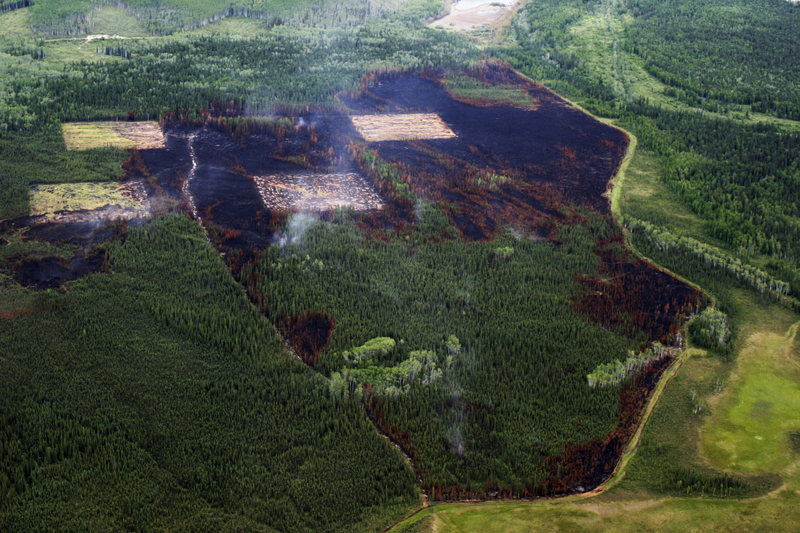 All treatments that burned resulted in significant reductions in fire intensity and spread. 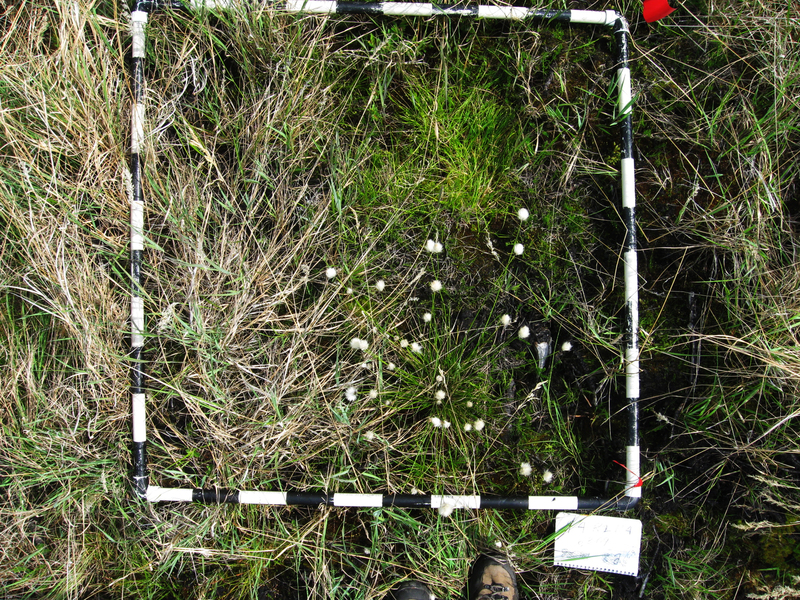 Butler et al, 2013. 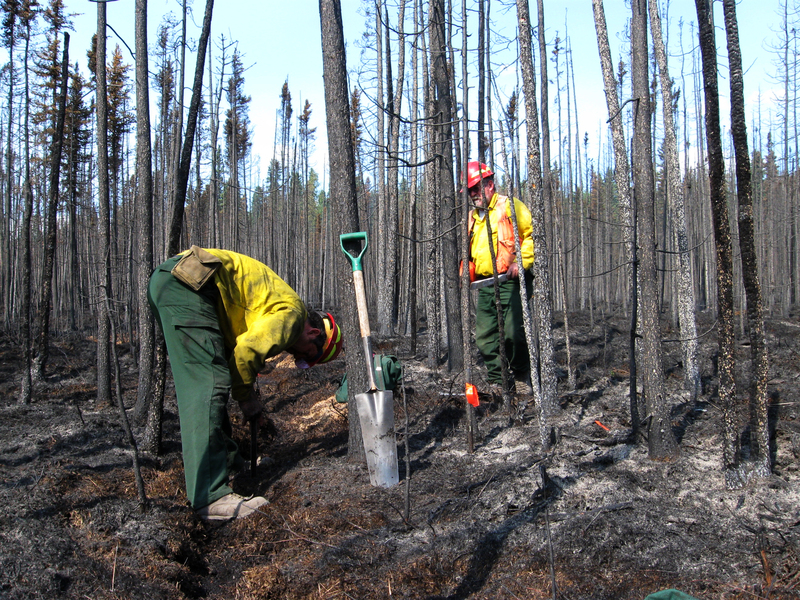 Quantifying the effect of fuel reduction treatments on fire behavior in boreal forests, Can. J. For. Res. 43: 97–102 (2013) dx.doi.org/10.1139/cjfr-2012-0234.